A thrilling and important debut about the Arab Spring and a generation that tried to change the world from an exciting and talented new voice. 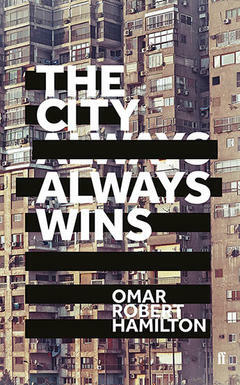 The City Always Wins is a remarkable novel from the psychological heart of a revolution. From the communal highs of pitched night battles against the police in Cairo to the solitary lows of defeated exile in New York, Omar Robert Hamilton's debut is a unique immersion into one of the key chapters of the 21st century. Bringing to life the 2011 Egyptian revolution, The City Always Wins conveys with extraordinary intensity all the stages of that place and that time through the lives of its two main characters Mariam and Khalil, ordinary young people caught up in an extraordinary moment. Furthermore, The City Always Wins is a novel not just about Egypt's revolution but about a global generation that tried to change the world. Reminiscent of the writing of Jeet Thayil, Zia Haider Rahma and Nadeem Aslam, Hamilton's prose is arrestingly visual, intensely lyrical and uncompromisingly political. A genuinely exciting new writer, he looks set to become a defining voice of his generation. Omar Robert Hamilton is an award-winning filmmaker and writer. He has written for the Guardian, the London Review of Books and Guernica. He co-founded the Mosireen media collective in Cairo and the Palestine Festival of Literature.